You are here:Home-Best Acting Classes & Coaches, CHILD ACTORS, CLASSES, THE BUZZ-Diane Christiansen’s Actors Relocation Tips! Making the decision to relocate to Los Angeles to pursue acting is a huge committment. Like any other major life decision, it’s not a commitment you should enter into lightly. In order to make the transition successfully, you need to have a plan. Do your research online. The days of moving out to LA on a whim, hoping to survive on just your dreams and talent are a thing of the past. In fact, it’s questionable whether that was ever really a thing to begin with. Anyone who has attained or maintained acting success will tell you that it did not happen overnight. Even talent competition show winners plucked from obscurity into instant stardom have stories to tell about their arduous journeys to become great at what they do. And any journey to an unknown land should have an itinerary, unless you want to wind up stranded. LOOK before you leap! Before you book those one-way tickets to the west coast, plan ahead. Save enough money to support yourself for several months in case you have difficulty finding a job right away. Reach out to any contacts you have in the area. If you don’t know anyone personally, ask for a few friendly referrals from people you do know. Advice from those already in the trenches will be invaluable as you navigate your way through L.A. Not only can you avoid newbie mistakes based on nuggets of wisdom from the locals, but you might also find yourself in the fortunate position of receiving an inside referral that makes finding a job, apartment, or an agent, so much easier. In addition to making plans for preparation, you’ll also want to Plan for Obstacles. Sure, Los Angeles is a fun place to live, with great weather and many awesome opportunities to make your mark in the industry. However, it’s not all “lifestyles of the rich and famous.” There are thousands of hopefuls in your same position vying to break into the business, which means that the supply of actors is much greater than the demand. As a result, plan on paying your dues for a while…preferably before you arrive. Meaning you will need credits and some experience to launch you to L.A. working status. I recommend working on student films in your area and anything you can do locally: theatre, improv or Skype coaching with an L.A. based coach prior to arriving. Once you arrive in Los Angeles, get a life. Of course, devote yourself to improving your craft as an actor and learning the business end of the industry, but if you don’t have something that brings you enjoyment outside of acting then you will burn out pretty quickly. Maintaining balance should be a priority in order to endure the inevitable challenges you’ll encounter while trying to establish yourself in the acting industry. For the first time in over 24 years of training, the Diane Christiansen Coaching Studios brings you an all new 12 week session for 3-6 year olds starting July …Take 1!! Pre-School or Primary children are sometimes too young or too shy for a full scene study acting class. 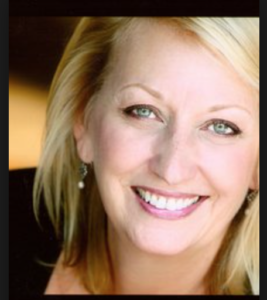 At Award Winning ~ Premier acting school Diane Christiansen Coaching, we know that just because a young actor isn’t reading yet – doesn’t mean they don’t have the acting bug! Even if your toddler loves to perform, they still need training in order to go to interviews, auditions, castings, and work well on sets. TAKE ONE: Acting for Pre-Readers will easily incorporate the most necessary audition and on-camera skills that 3 to 6 year-olds will need to become working actors in Film or on Television. And of course, we haven’t forgotten to make this experience Fun! Plus! Parents are invited to watch the final class! Please Call Diane at (818) 523-8283 for information or to register for this exciting new class!